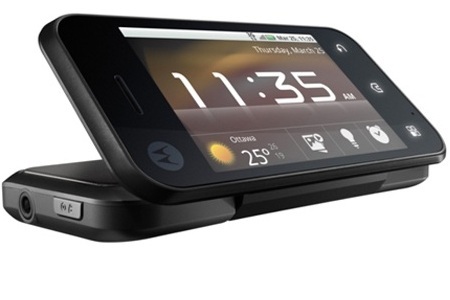 Motorola, Inc. (NYSE: MOT), a global leader in mobile telecommunications Indian subsidiary, Motorola India Private Limited, today introduced MILESTONE XT720 and the Blackflip, set to become the first Android 2.1-powered phones for India. WCDMA 1700/2100, GSM 850/900/1800/1900, HSDPA 10.2Mbps (Category 9/10)/7.2Mbps (Category 7/8), EDGE Class 12, GPRS Class 12, HSUPA 5.76Mbps. It is coming with 1390 mAh Li Ion battery. It has a capacitive 3.7-inch touchscreen display with a WVGA (480X854) resolution. The phone comes loaded with Android 2.1. 8GB MicroSD card included in box and can be extended upto 32GB. 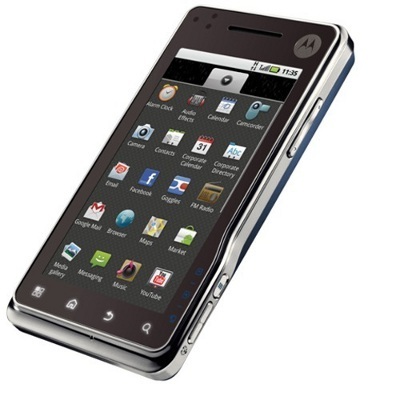 Motorola has priced the Milestone XT720 at Rs. 34,990 while the Backflip at Rs. 22,990.